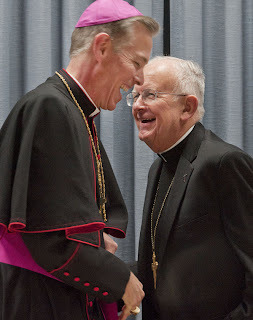 Normally, Appointment Day in a local church is a studied, even theatrical exercise in continuity – whatever the backdrop of the handover in question, predecessor and successor alike take great pains to keep everybody calm, underscoring the endurance of the faith and calling the flock anew to the best of what unites us all. Behind the scenes, meanwhile, intense coordination is had to avoid any appearance of a significant shift in the new tenure. Again, that's the usual... then there was this Tuesday in Portland. So it seems, the rapid realization of "this one going places" now enters the books with the rest. In that spirit and given the scene, though, it feels a fitting follow-up to say that, well, this one's gonna be interesting... very, very interesting. 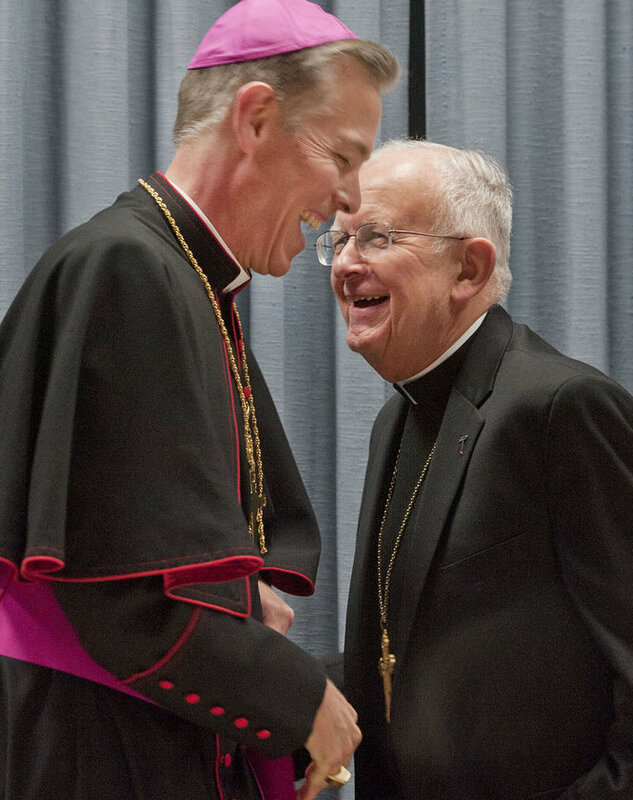 As a new chapter begins in the "Rose City," every happy wish to the new Archbishop and the crowd he inherits. But what's "Buckle Up" in Latin?